Josh Puetz is a Senior Software Engineer here at Codeship. This week, we had the chance to sit down with Joshto discuss his background, why he joined Codeship, and much more. Prior to joining Codeship I’ve spent over a decade building products and leading teams for start ups in the educational, financial, and retail software industries. I love having the opportunity to help create a tool that is used by other developers. 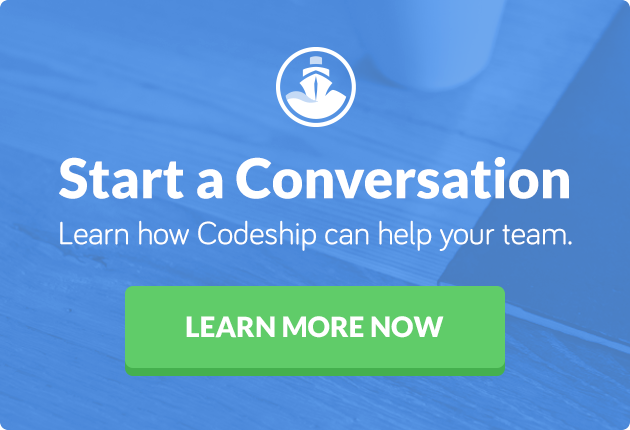 Codeship is a fantastic product that lets teams write higher quality code. It’s incredibly satisfying knowing that my work directly helps other engineers. Why should others work for Codeship? Codeship has a kind, respectful, remote first culture. Everyone is treated with respect and a lot of trust is given to use to do our jobs the best way we see fit. I work remotely from the midwestern United States, and I never feel left out of the loop with my coworkers in Boston, Vienna, or other places around the world. I am a huge fan of video games: I’ve spent most of the free time in my adult life either playing, reading, or writing about gaming. From age 10 when my brother and I did a summer’s worth of chores to get our first system (an NES), I haven’t stopped playing. It’s a tradition I’ve passed on to my daughter. We regularly play games together. Name one fun fact about yourself! I can wiggle my ears! That’s why I keep my hair so short.